of her new movie with Regal Films, Let's Take A Chance. 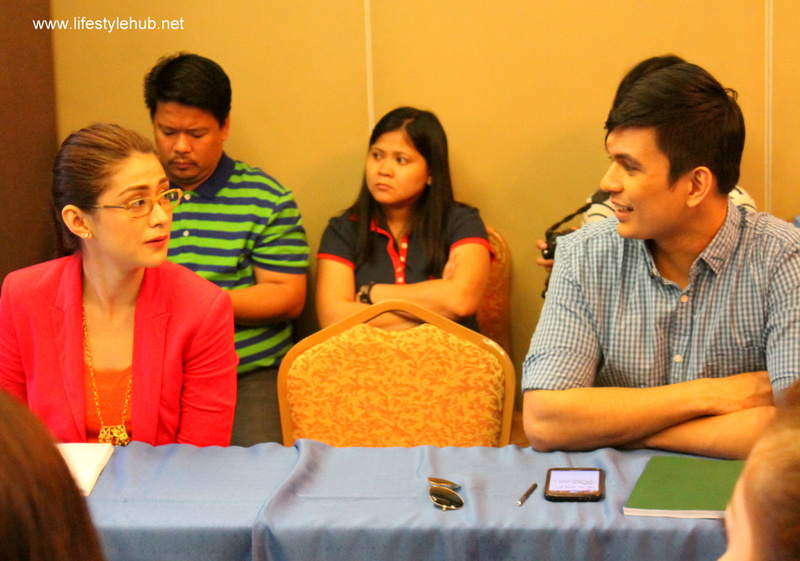 She might have portrayed her role as Lally in My Husband's Lover effectively but Carla Abellana admitted that she might not know what to do if she will be confronted with the same situation in real life. The rising Kapuso actress revealed not wanting Lally's life in the story conference of her upcoming movie with Regal Films, Let's Take a Chance held yesterday, August 24 at the Imperial Palace Suites in Quezon City. "Ayoko yung situation, di ko kakayanin. For women out there in the same situation and still able to hold things together, I salute you", Carla said. Abellana has been reaping positive comments from critics and netizens with her effective portrayal of Lally Agatep- Soriano, the wife of gay man Vincent Soriano (Tom Rodriguez). As of the soap's current run, Lally is trying to accept the man she loves to save her family. "Buti na lang sure ako", Carla, meanwhile, reacted to showbiz reporter Lhar Santiago when the latter talked about Abellana's real life boyfriend, Geoff Eigenmann. "Pero, you'll never know", Carla followed up with a laugh. talent manager Popoy Caritativo and Regal matriarch Mother Lily Monteverde. held at the Imperial Palaza Suits in Quezon City. Her onscreen partner Tom Rodriguez will also play as her lover in the upcoming Regal movie. Tom for his part has not tested the after effects of being a gay man in his personal life. "Wala na kasi time sa girls for the moment eh kasi sa sobrang busy. So, di ko sure if mahihirapan ba sa panliligaw pero hindi naman siguro ganun yan", Tom shared. The actor revealed too that he doesn't have any reservations on portraying the gay role on TV. "I'm sure I will not be typecast for such role. Like this new movie, my character is a straight man. It shows a challenge actually on how effective we can be in performing different role", Rodriguez, who also have some theater credits, explained. My Husband's Lover is set to end on October and is set to complete a very successful 6-month run which included consistent high ratings nationwide, multiple trending topics on Twitter up to the passage of the bill following the soap opera's title. 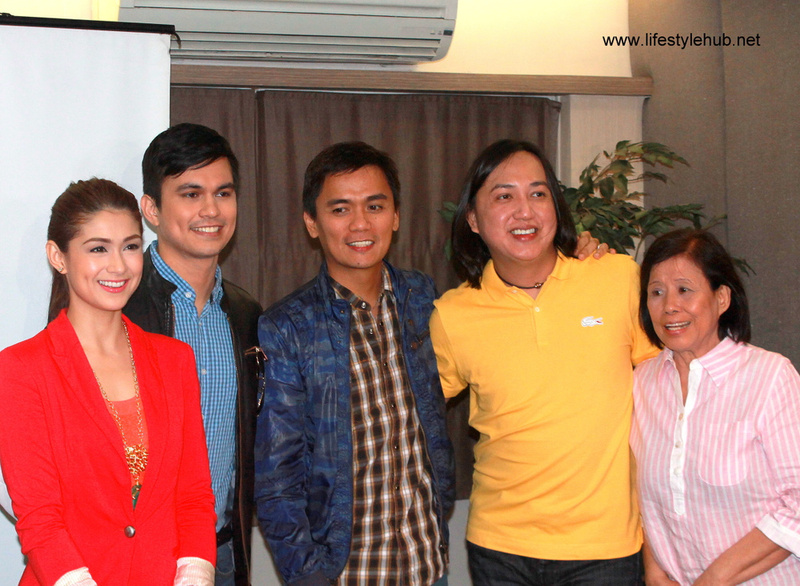 Shooting meanwhile for Let's Take a Chance will begin on Tuesday, August 27 and is set for release on October. 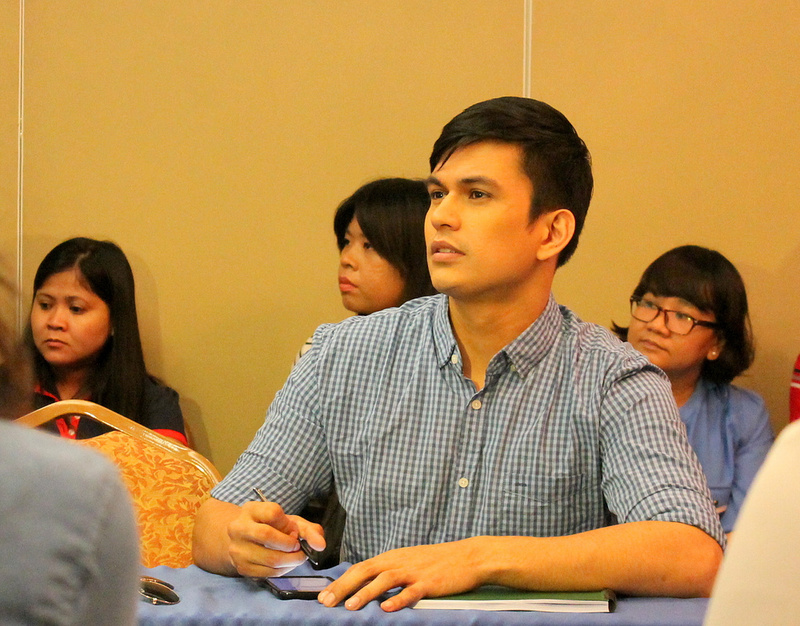 Jun Lana directs while joining Tom and Carla in the cast is JC de Vera, Gee Canlas, Nina Jose, and Leo Martinez. Let's Take a Chance is already the movie's third working title after changed from Status: It's Complicated and Just The Way You Are.